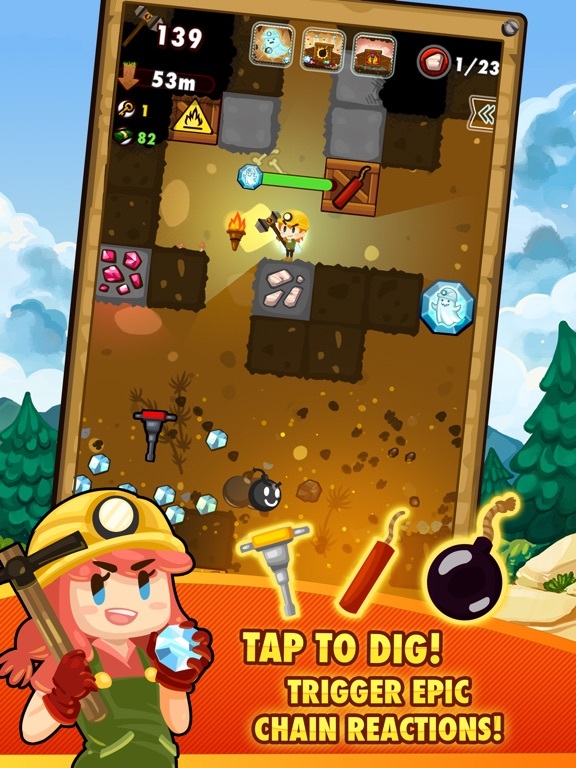 Get on a mining adventure in this sequel to the addictive hit game! 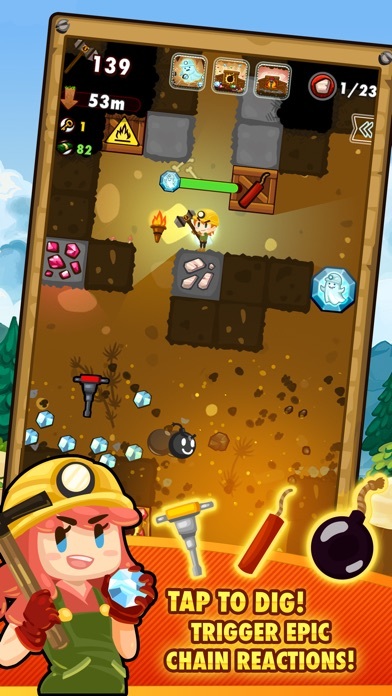 Tap blocks to dig deep and explore all the islands of this exciting world! 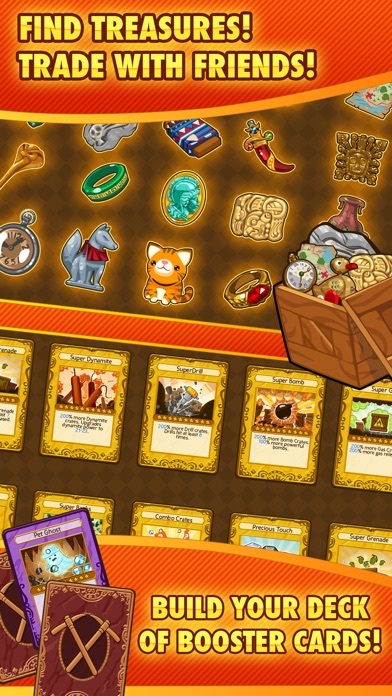 Trigger stunning chain reactions, find epic loot, equip powerful gear, get formidable cards, unlock treasure chests, craft awesome goodies, thesaurus adjective synonyms, collect and trade rare artifacts… There’s so much to do! 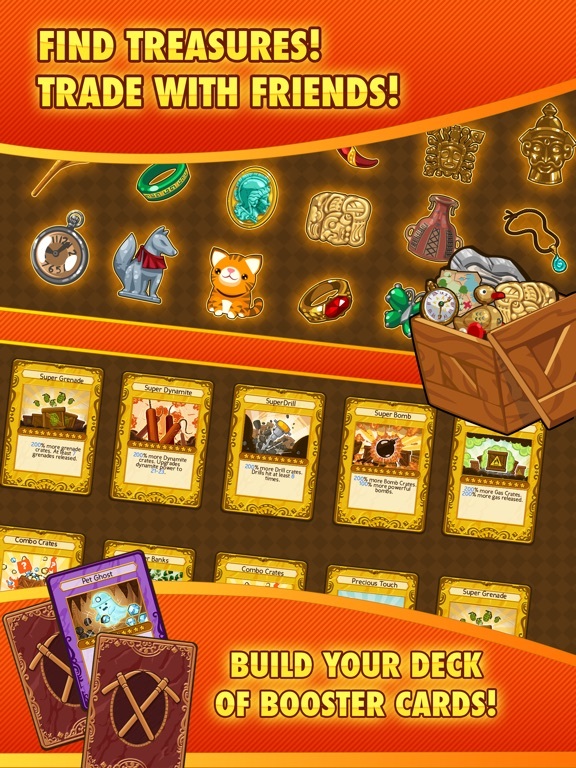 Features: * Explore dozens of beautiful islands * Customize characters with powerful gear * Build your deck of cards to reach new digging depths * Trade with friends to complete artifact collections * Compete in daily events against your friends and the world * Save your game to the cloud and enjoy it on any device * Enjoy frequent updates and events with fresh content Stay connected to everything Pocket Mine 2: Forum: http://forums.pocketmine2.com Facebook Official Page: https://www.facebook.com/pocketmine Please use the in-game support feature to report any issue and give us feedback. Thanks for digging! Fun! Played the first one for a really long time. The card-based perk system really made it fun. Yeeeees. Looking great so far. 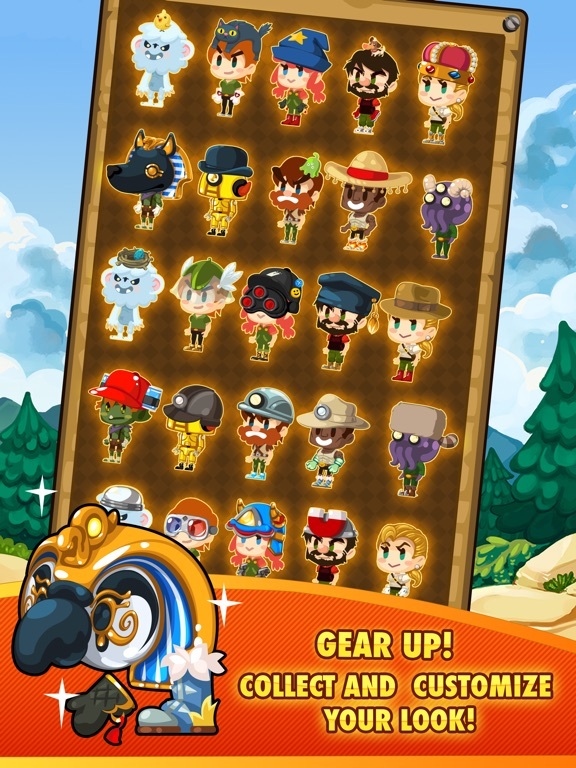 Crazy new cards (helper bat who grabs jewels, worm that digs) and gear to unlock with passive perks. Just perfect. Impressions: It feels a lot like the first one (which is good), and it has enough changes to see why a sequel is necessary. I like the level structure because a sense of progression is nice. I also like all the different costume pieces you can discover. Basically, though, it is a bigger and better version of the same thing. 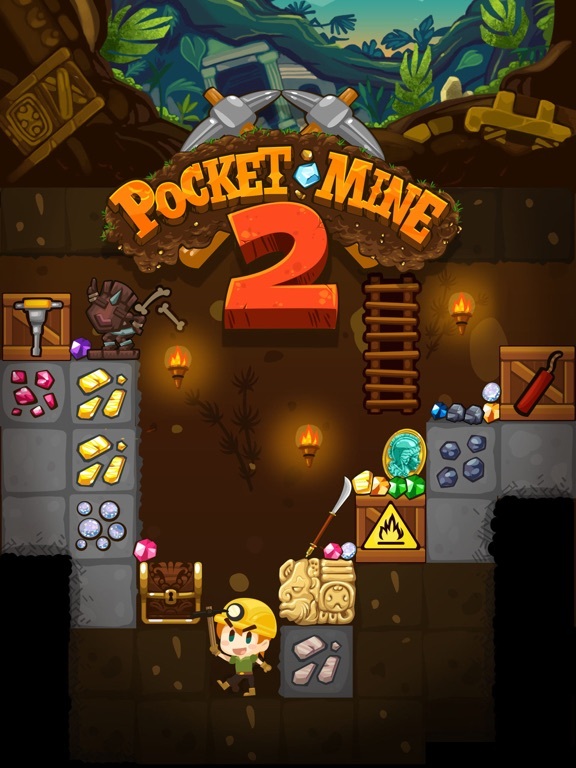 If you loved Pocket Mine, you will love Pocket Mine 2. I do think you should just get rid of Everyplay. Disabling it isn't enough. Something about that service just really gets on my nerves. Agree, plus I'd add that achieving the premium currency (red gems) is possible through gaming. Difficult but possible, something which you couldn't get in the first game. Price of the energy increaser (from 5 to 8 units, as in the first one) is 5 (4.99 to be more precise). I bought it and I've played for nearly 2h straight. When you level up, battery meter replenishes. No feeling of being locked without the chance of playing. 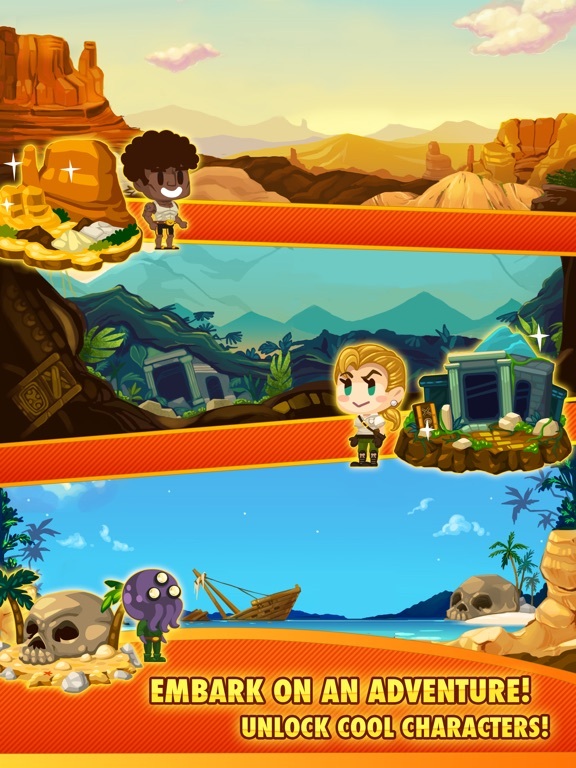 I also like how the characters work in the game: each island has their character to play with. 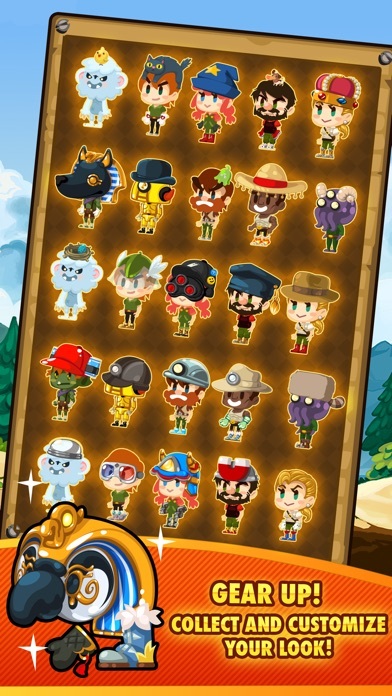 You have slots to add any unlocked character you purchase and play with it in the island of your choice. In other words, island A with character A, island B with character B, etc. 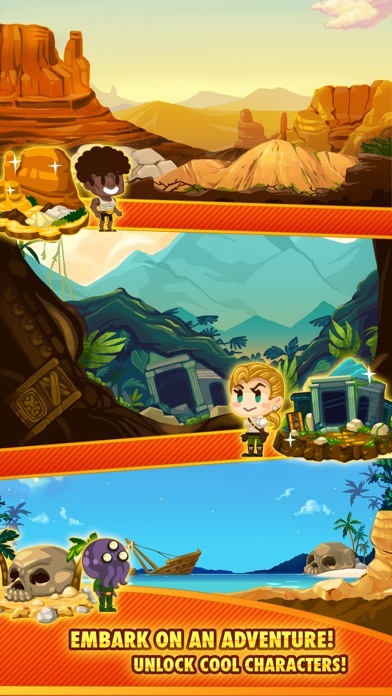 If you want to play with character A on island B, unlock it, purchase it and equip it in the special slot. Once you use that character once, the slot locks for 2h. I loved the first Pocket Mine. Having a little trouble with this one though. The game freezes as soon as GC starts to load up. I gotta delete some people. I've notice this happening on a lot of games lately. I'll have to try while logged out of GC. Gonna give this one a try. Lets try adding each other as friends on this thread and see if we get those rewards. I'm really disliking the energy though. I would consider the upgrade but $5 doesn't even remove the energy which bothers me. There is a simply way just turn off your net connection before you start the game and so then the game cant load your GC stats. No USA? Noooooooooooo. Hopefully they do promo codes again! God, what a great game. My code is uikj6538..Im really liking this. I still play the first one because Im almost at 500k so I can upgrade my pick to premium. So far I'm really liking this one. It's got a lot more going on than the first. Nothing drastic. It's pretty much the same concept as the first game, but I don't have a problem with that. How long is this soft launch going to be? Any way to transfer progress to US account after the soft launch ends? You connect to Facebook and it keeps the progress throughout devices. Added. My code is sxgr9823 in case someone's interested. I actually think this game is pretty addictive. Though 5 energy is definitely not enough seeing as how levels I'm playing only take 2-3 minutes at most (at my pick strength). I think upgrading to the 8 is better obviously but it won't remove the energy sadly enough. Btw, you guys get an achievement for adding your first friend (in case you wanted an incentive). And friend gifts go both ways. None of that one time only gifts. I got the chance too download the second pocket lucky me!! It doesn't work like that. Just keep the app on your phone and you won't lose your progress. There's no "switching stores" when it launches. Your app won't even notice when the game is fully launched. Or, once the game hits your store, delete the soft launch version from your iTunes, keep the soft launch version on your device (so you don´t loose progress), download the version from your store to iTunes and sync your device.